1. 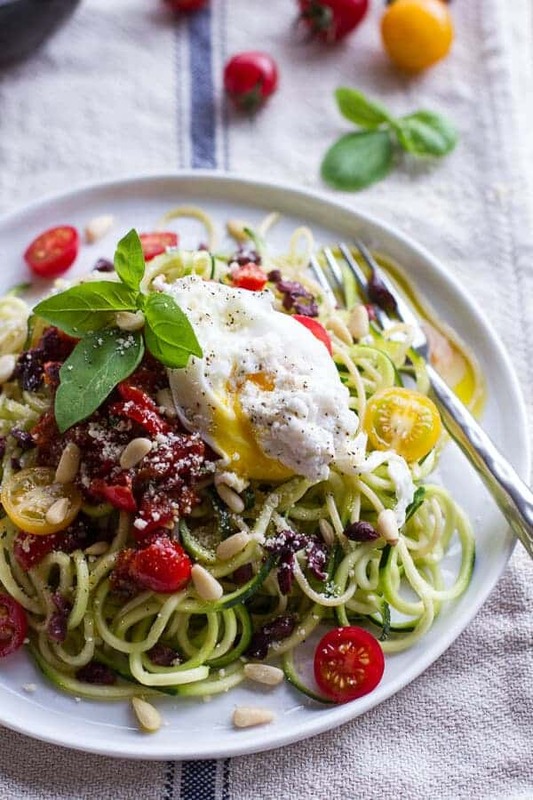 This zucchini pasta with tomato basil sauce, topped with a poached egg is super easy and only takes you 15 minutes to prepare! Click here for the recipe. 2. Doesn’t this toast topped with vegetables, cheese and eggs look simply delicious! Get this mouth-watering recipe by clicking here. 3. You’ll only need 5 ingredients for this very simple egg stuffed sweet potatoes recipe! Click here to find out what those ingredients are. 4 …. Or a bread roll with all your favorite fillings such as cheese, onion, sausage, parsley and tomatoes. 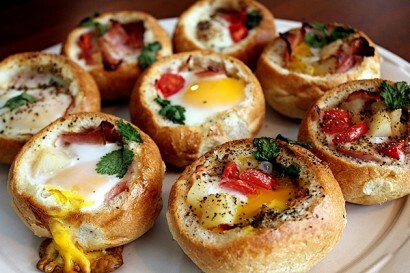 Click here for more bread roll filling ideas. 5. Vegetable frittatas are a great way to use up any leftover vegetables. Here is a delicious recipe with asparagus, leek, mushroom and bacon. Yum! 6. 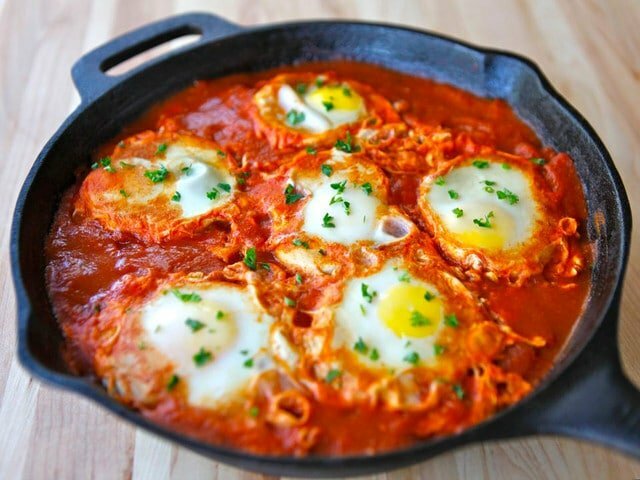 Whip up a Shakshuka (a Tunisian dish of eggs poached in a spicy tomato sauce). The colors in this dish look amazing! Click here for the recipe. 7. 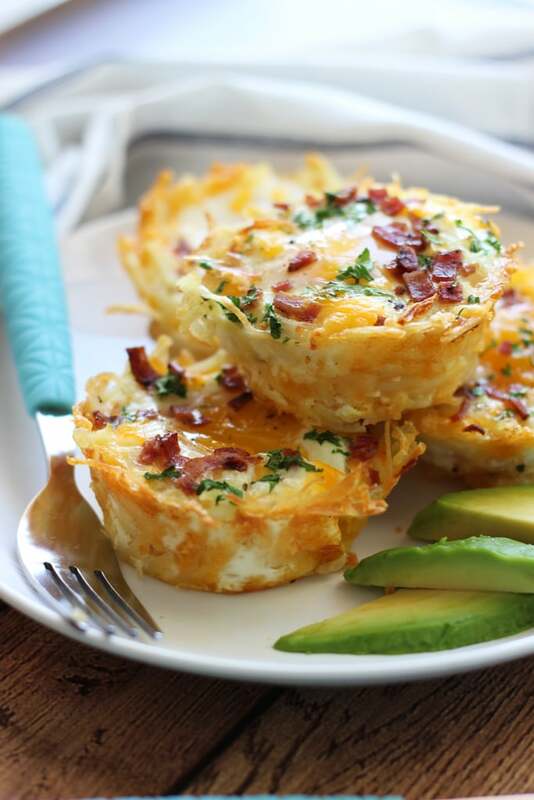 These hash brown egg nests with avocado sure looks scrumptious! Click here for the recipe. 8. French toast. You might want to give this recipe a go! Click here.